LNB's and LNBF's are both amplifiers used in satellite dishes. As with other signal amplifiers, they take the very faint signal they receive and magnify it so that it is powerful enough to use. This is the first step in taking the microwave signal coming from space and turning it into images and sounds for televisions and computers. 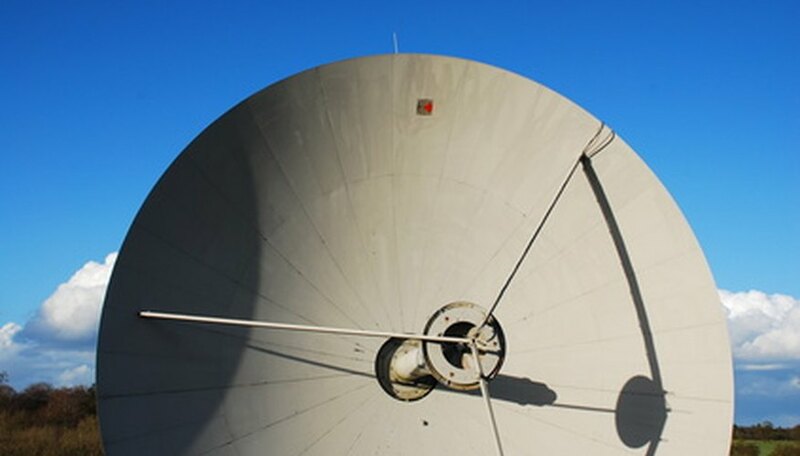 Larger, older satellite dishes generally use the older LNB's that are separate from the feedhorn. Smaller, newer satellite dishes generally use the more compact LNBF's. Because the industry has shifted almost completely to the use of LNBF's, many actually do not even make the "F" distinction anymore, as LNBF's are completely replacing LNB's anyway. Kimmons, Ronald. "Differences Between LNB & LNBF." Sciencing, https://sciencing.com/differences-between-lnb-lnbf-12352553.html. 06 October 2017.